1 What is the current status of Hyundai Creta? Hyundai Creta is a first compact SUV by the South Korean car maker and with that the company is entering the most competitive and progressive segment in Indian market. In addition, India is the first market to receive Hyundai’s first compact SUV. 2. When did Hyundai Creta launch? Hyundai India launches Creta on 21 July 2015 which is based on company’s latest 2.0 Fluidic design terminology and looks like a baby Santa Fe from the outset. To cash in the popularity of dual color, Hyundai has launched dual color variants of Creta in India. 3. In which category Hyundai Creta falls? Hyundai Creta falls under the SUV category. 4. How many types of fuel units are available in Hyundai Creta? Hyundai Creta is available with both Fuel units, i.e. Petrol and Diesel. 5. The available color options for Hyundai Creta are? Hyundai Creta is available with seven chic and beautiful colors- Polar white, Red passion, sleek silver, mystic blue, pearl beige, Stardust and Phantom black. The Dual tone variant is available in Red passion and Polar white color with contrast black roof top and side pillars. 6. Is there an automatic transmission in Hyundai Creta? Yes, Creta is available with a six speed automatic gearbox on SX+ diesel variant and hence it is now the first in segment and the only diesel SUV with an AT gearbox. In addition AT gearbox is now available with top spec SX+ petrol trim and mid S+ petrol grade as well. 7. What are the specifications of engine equipped in Hyundai Creta? 8. The exact price tags of Hyundai Creta’s all variants are? 9. Please inform about the on-road price of Hyundai Creta. 10. Can I get the width of tyres fixed in Hyundai Creta? 11. How long ground clearance Hyundai Creta carries? Hyundai Creta has 183mm of ground clearance which might not be the segment best but it’s enough absorb the dip and rut of Indian roads. 12. What type of suspension system fixed in Hyundai Creta? 13. Is cruise control available in it? No, there is no cruise control available in any of the Creta variant. 14. Which safety features Hyundai Creta has? Hyundai has kept the safety feature list to maximum as it comes with total of six airbags (front, side and curtain), antilock braking system (ABS) with electronic brake force distribution (EBD), anti-pinch window function which prevents windows to close properly so either it shut down the motor or closing window will reverse direction, electronic stability program, hill start assist control, vehicle stability management (VSM), height adjustable front passenger seatbelts, lane change indicator with flash adjustment, engine immobilizer, rear defogger with timer, speed sensing auto door lock, front fog lamps. In addition, it sports reverse parking camera with adaptive guidelines with display on screen, rear parking sensors along with front disc and rear drum brakes to complete the list. 15. What is the acceleration and top speed of Hyundai Creta? The Hyundai Creta 1.6L VTVT petrol engine can hit a top speed of 196km/hr while it takes 10.5 seconds to do so. The manual diesel variants take 12.2 seconds to complete 0-100 km sprint while offering the top speed of 165 km/hr while the bigger 1.6L diesel variants can accelerate 0-100km in just 10.5 seconds with the top speed of 190km/hr. The AT variant takes 0.5 seconds more to click 100 km mark from a standstill. 16. Seating capacity of Hyundai Creta is? The Hyundai Creta is spacious car and posses seating capacity for 5 persons with good amount of knee room and headroom space for both front and rear passengers. 17. What is the boot capacity of Hyundai Creta? Hyundai Creta offers generous amount of luggage space which stands at 400 liters. 18. What common & unique interior features Hyundai Creta get? The interior of Creta is as refreshing as Hyundai’s other cars with beige dashboard; AC vents with silver accent, gear knob, seats, central armrest are finished in premium leather. In terms of equipments Creta boast a twin pot instrument cluster with large MID unit that displays trip metre, tachometer, gear shift indicator, outside temp display and many more. You also get a touchscreen infotainment system with in-built navigation, Android auto, Apple car play and Mirror link, bluetooth telephony, smaller 5 inch display for lower variants, 2DIN audio system with 1GB internal memory, USB, Aux-in connectivity support. Other features include a smart key with push start button, automatic climate control, multi function steering wheel with audio and bluetooth control, rear AC vents, two 12V power sockets, room lamp, front-rear power windows, front seat back pockets, door scuff plates in black color and metallic finish, electrically adjustable outer rear view mirrors, height adjustable driver seat, electric tail gate release button, 60:40 rear seat spilt, rear central armrest with storage and many more. With such never ending list of features Creta is certainly the most feature rich car in its segment. 19. Please tell the mileage figure of Hyundai Creta – ARAI-certified, highway and city-road? 20. 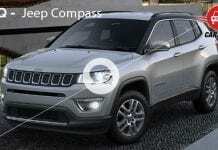 In Indian car market, which are the main competitors of this model? Hyundai Creta takes on Renault Duster, Nissan Terrano and Ford EcoSport in the Indian car market. 21. What is Hyundai Creta estimated maintenance/ repair cost?